Updating your home doesn't have to mean buying expensive items, and our reduced price contemporary sinks could be just what you need to give your kitchen a whole new look. Create a sleek, modern feel with a Vortex Bowl in Metallic Graphite Grey from Astracast, or merge the traditional with the now when you install a Schock Solido Granite sink. Contemporary kitchen sinks are all about combining the practical with the beautiful, which is why we only stock the most stylish pieces from a selection of the most incredible international and UK based sink designers. We are not exaggerating when we say you will adore our extensive range of contemporary kitchen sinks, as we know just how stunning these designs really are. Fall for the charms of the Astracast Cascade sink, available in Sahara Beige and Volcano Black, and give in to the enticing aesthetics of the Schock Cantate Bowl Plus Drainer. Each contemporary sink is created with the discerning home owner in mind and each one is a durable yet stylish option for any kitchen. Browse the entire collection and discover the many beautiful designs we have to offer. 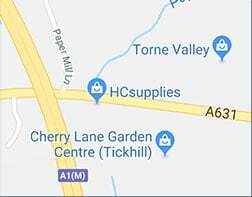 HC Supplies is proud to be able to offer extremely competitive prices, providing huge reductions on the recommended retail prices throughout our stock. Why shop anywhere else, when all the contemporary kitchen sink designs you could ever require are right here?